The perfect product for polishing shoes on the go. 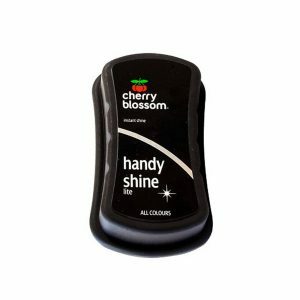 Provides an instant shine to all leather footwear. Perfectly shaped to fit your hand, yet compact enough to carry in your handbag, briefcase, or pocket. Suitable for all colours.